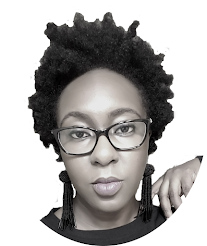 Anyways, from blogging about growing long hair as a full-blooded Nigerian, she started a salon, holds an annual hair and beauty event, and also created a line of shea butter hair/skin products. 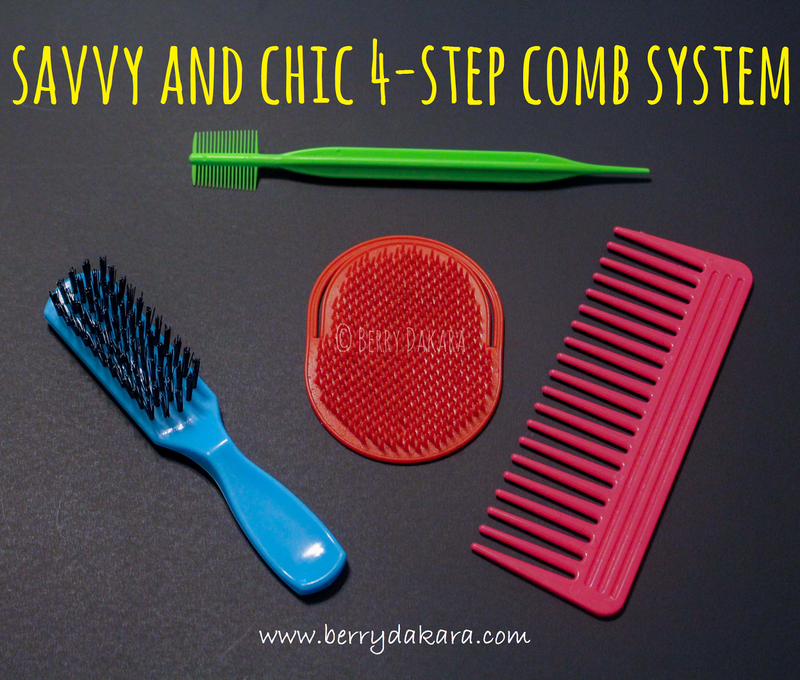 Now, she has added to her growing empire, by introducing the Savvy and Chic 4-Step Comb System. 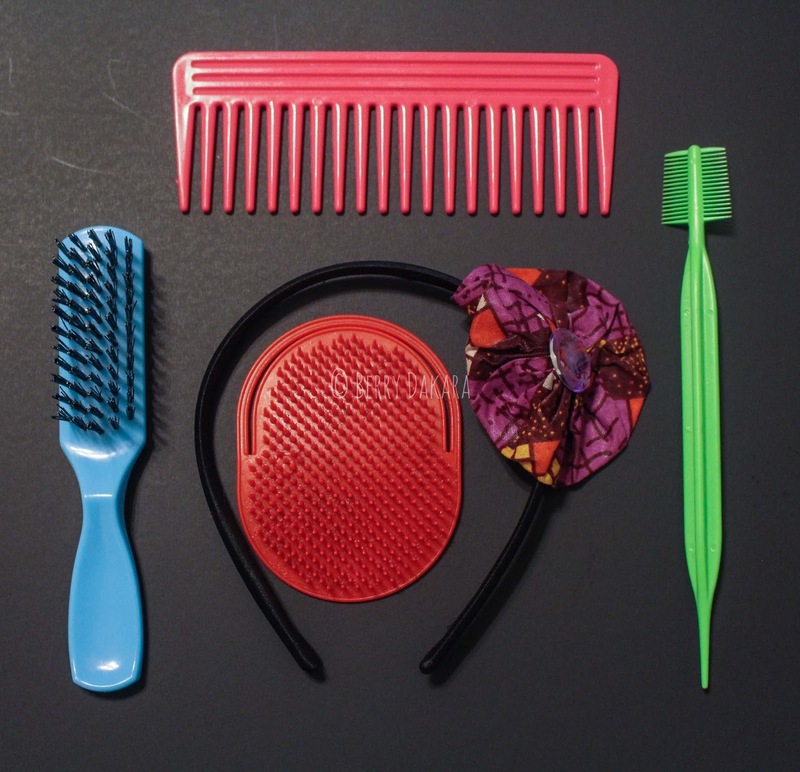 It's a collection of combs and a brush that every healthy hair seeker should have in their arsenal. Anyone who is into hair care knows that scalp massages are recommended for your regimen, as they promote blood circulation, which in turn improve growth. 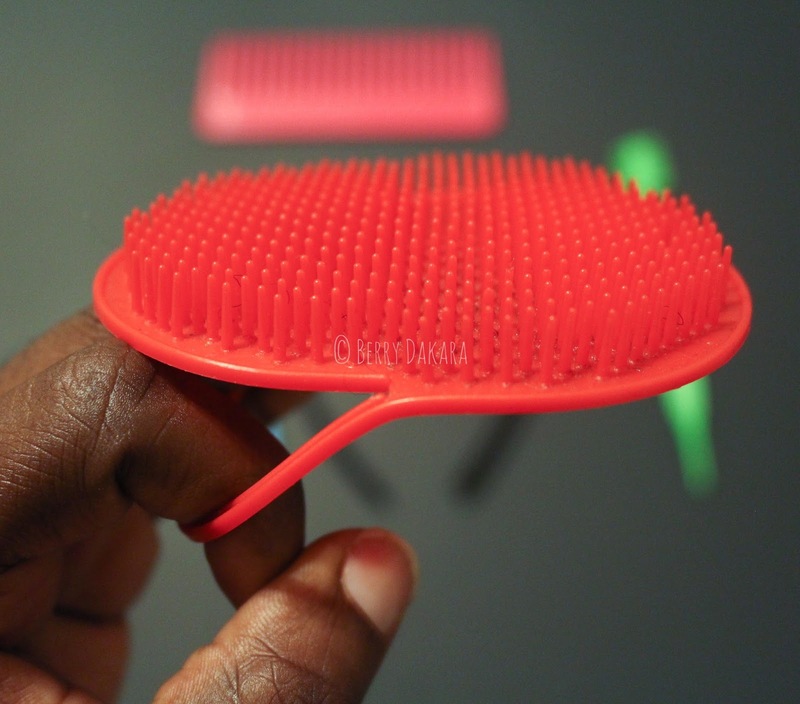 For those of you looking to grow your edges, this might just be for you. If you're not doing it for growth, it's also noteworthy that scalp massages can be very relaxing. My recommendation is to lightly press against your scalp and move your hand in a circular motion. 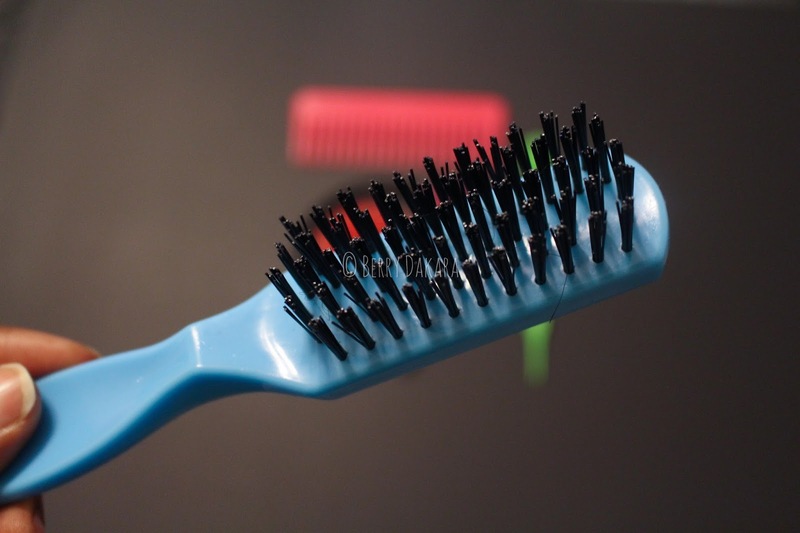 Take care not to move the actual bristles against your scalp, as that would cause wear and tear on your roots. 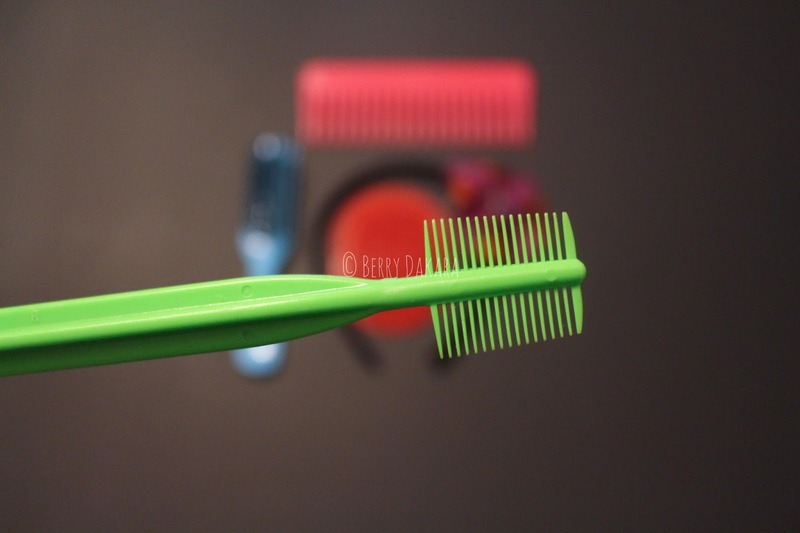 A wide-tooth comb is a necessity in any hair regimen - that is, if you're not into finger-detangling. 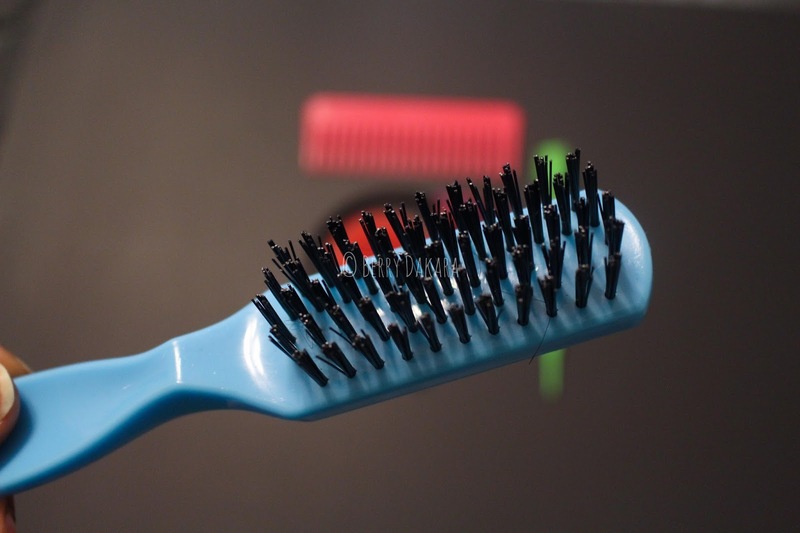 Wide tooth combs like this one are gentler on your hair, and if used properly, will minimize the amount of broken hairs that come from tangles. 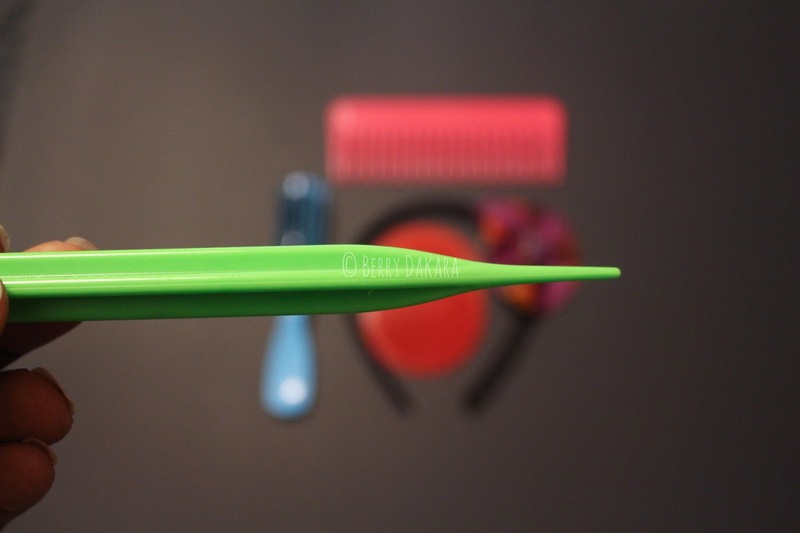 This little brush is perfect for smoothing your hair into your desired style. While I prefer my brush bristles to be a little softer, I do like it's small size as it's handy enough for you to even carry in your makeup purse. Can you say "Laid Edges?!?!?!" 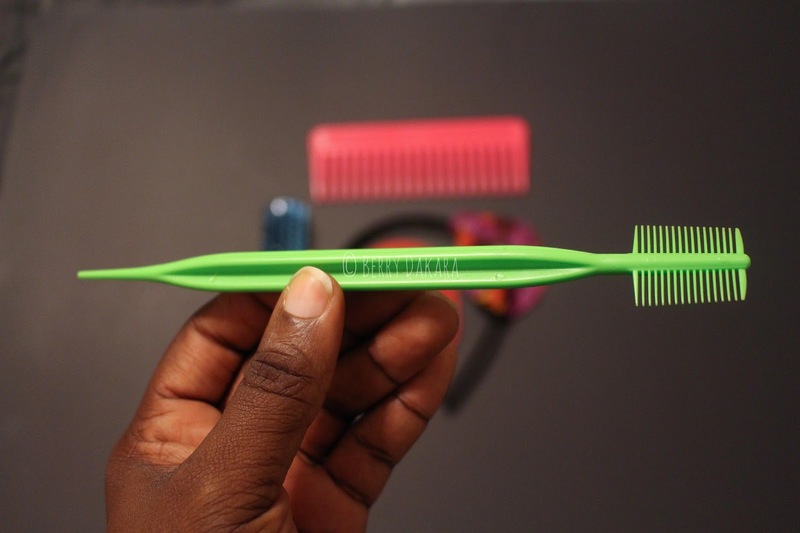 If you have been looking for a way to tame your edges, without using an old toothbrush that's been in your mouth at one time or another, this comb is here for you! 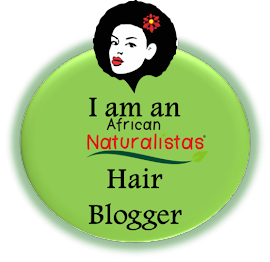 As Dabs says, naturalistas can also use this comb for finger coils or starter locs. 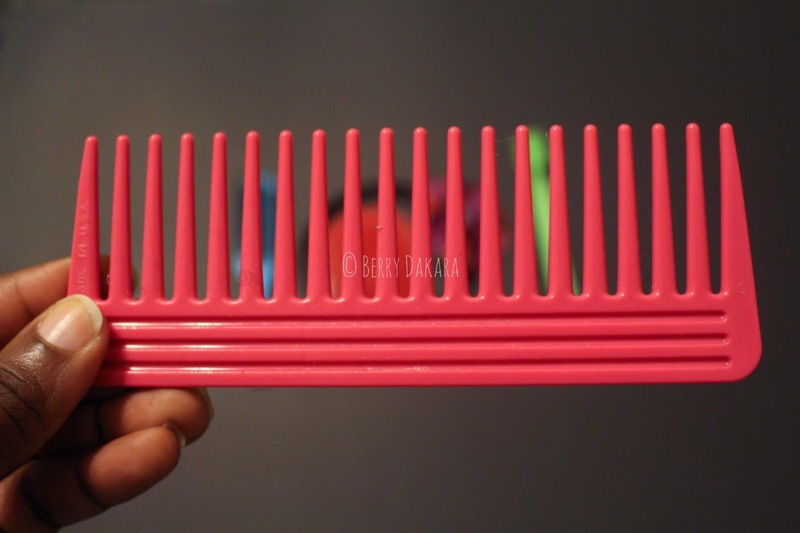 As a bonus, the tail end of the comb is great for sectioning your hair for whatever styles you want to do. The entire set is just N2500, and they're sturdy enough to last you a very long time. For more information, visit here. And now let's pray for God to give me that light bulb moment, and for my eyes, ears, heart, mind and spirit to be open to hear, so that I can become a millionaire in US dollars! AMEN! Love this!! Like I'm so so proud of these young Nigerian entrepreneurs. Maybe I should interview her o my blog. Hehehee. Constantly seeking inspiration. And AMEN Berry!! May God give us lightbulb moments and may be listen and heed. Was just reading something on that this morning. These are awesome inventions! And the price is fair enough too. Amen Berry, it's somewhere inside you.. You'll soon place your finger on it. My beautiful sister, Nigerians are real hustlers.. Nothing weakens them. Recession or not, it seems God in his mercy gave Nigerians special mode and means of survival no matter the situation we face. As in, hustling is in our blood! Yes she is truly an inspiration, I have to get my hands on the combs. Lovely review! Nice review, Berry. Great tip about the scalp massager. What a great relief for my hair! Thanks Berry for the review. Thanks for the review. Savvy & Chic is quite close to my office yet, procrastination hasn't let me go down there and grab a set, tsk tsk. 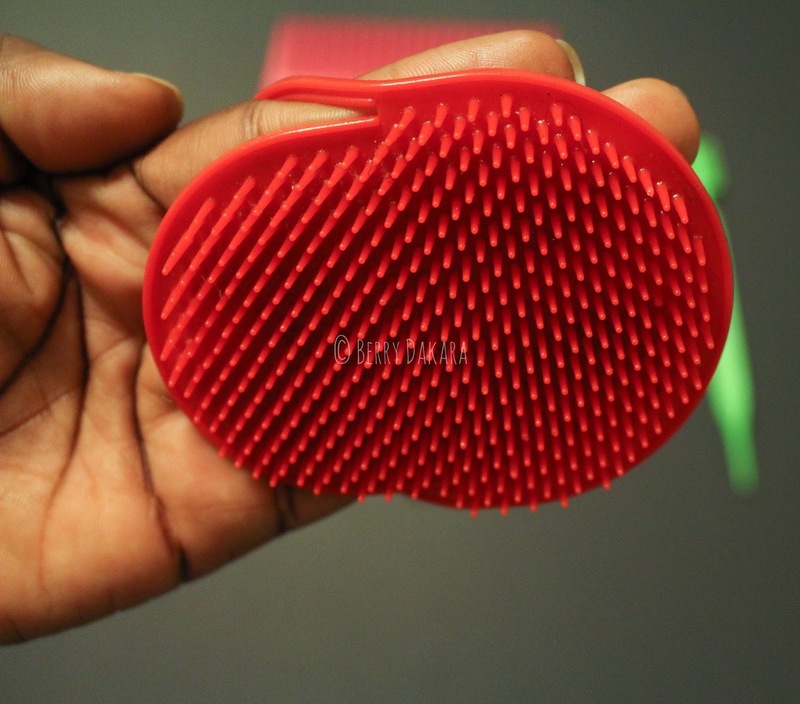 I need a new comb, and that scalp massager looks so good. Dabs is truly doing things!! Your product photography is on fleek, too. Very very good!